We’ve partnered with LGiU on a new guide to ‘Community Collaboration’. Packed with advice and practical examples, it showcases the success of new approaches to local democratic engagement – in Big Local and beyond. The new report has found that councils and communities working together can meet the challenges of the future and sustain public trust in local government – but only if they commit to a more engaged and open way of working. 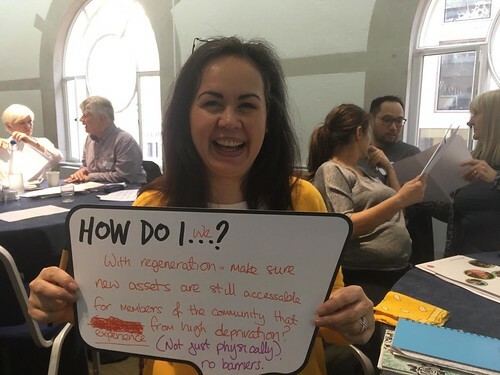 ‘Community Collaboration: A councillor’s guide’ is the result of a project between the LGiU and Local Trust to define and promote community collaboration and uncover the best examples of it in practice. The report features 8 case studies from around England, and identifies how councillors can actively support resident-led projects by facilitating conversations, using their network and influence, and advocating within their local authority. Download a full copy of the guide here. View article about the new report on the New Start website. View article about the new report on the LocalGov website.